A brand new family of Yamaha MusicCast products is now being introduced, including streaming speakers, sound bars & a wireless subwoofer. 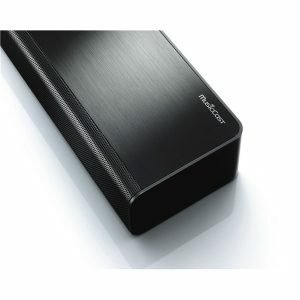 Enjoying your favourite music or movies at home has never been simpler. With rounded styling over the entire range, every MusicCast family product compliments one another. The MusicCast 20 is a compact streaming speaker that provides room filling sound thanks to its impressive 4 speaker design. Its circular design means it looks at home in any setting. Alarm & favourite 1,2,3 buttons can be found on top for ease of use without the need to use the app. Available in black or white finishes. The MusicCast 50 is a low profile oval design which features dual aluminium woofers & dual horn tweeters to deliver a wide hi-fi sound. With analogue & digital inputs on board its equipped to be used in a number of different scenarios. Alarm & favourite 1,2,3 buttons are also featured. Available in black or white finishes. The MusicCast Bar 40 & MusicCast Bar 400. Both feature 6 speakers to create an immersive & exciting music or home cinema system. 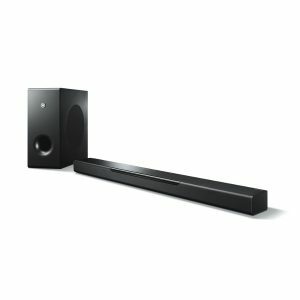 Both sound bars feature a classy brushed black aluminium & rounded finish. The MusicCast Bar 40 comes as a single unit, which is neat enough to fit in front of any TV or can be wall mounted to blend into any home environment. The MusicCast Bar 400 is a 2 unit system which includes a wireless subwoofer to get the best out of your favourite movies or music without those messy cables. 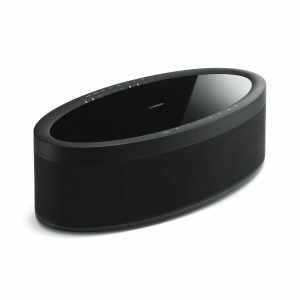 The MusicCast Sub 100 comes in high quality gloss black or gloss white finishes. It uses an 8” forward firing bass driver to ensure clean & deep bass is experienced whilst listening to your favourite album or movie, which can be installed in a number of different MusicCast set ups. Use with a MusicCast 20, 50, Bar 40 or even RX-Vx85 AV Receivers. There is a new RX-Vx85 Series AV receivers. They open up a new world of entertainment, with even greater flexibility than ever before, building a home cinema has never be easier. 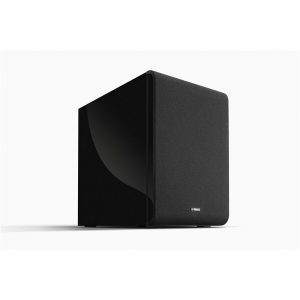 New Yamaha tech, MusicCast Surround allows for the MusicCast 20 & 50 speakers to be used as wireless rears with all of this years MusicCast RX-Vx85 AVR’s. A re-designed remote & GUI is featured on the RX-V685 which helps simplify set-up & operation. 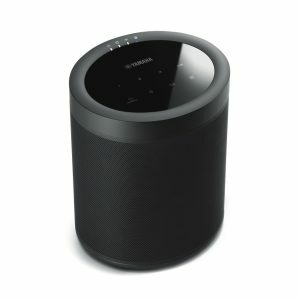 Let’s Talk – Amazon Alexa is also on board, with Alexa voice control integration, all you have to do is say “Alexa, ask MusicCast to play favourite 1 in the kitchen”. The RX-V485, 585, 685 & RX-S602 all contribute towards a friendly & more “real world” home cinema experience for todays consumer. Welcome to Yamaha’s new MusicCast Family!